The super PAC no longer helmed by the would-be conservative host is running an absurd new fake anti-Romney ad in South Carolina. This man is definitely not behind a ridiculous new ad in South Carolina that compares Mitt Romney to a serial killer. 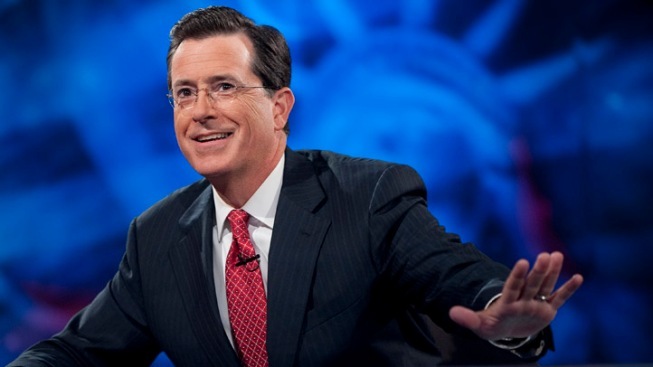 Not-so-late night television got a dose of late night humor Monday when Stephen Colbert showed up on NBC's "Rock Center" to talk super PACs. And afterward, he showed up on his own show on Comedy Central to give a little bit of background in the form of an outrageous new ad that the super PAC he's turned over to Jon Stewart is airing in South Carolina. "Mitt Romney says he's for corporations. But Mitt Romney has a secret: As head of Bain Capital, he bought companies, carved them up and got rid of what he couldn't use. If Mitt Romney really believes 'Corporations are people, my friend,' then Mitt Romney is a serial killer. He's Mitt the Ripper." But the stunt didn't stop with a jokey fake attack ad. NBC's Ted Koppel sat down with Colbert for a "Rock Center" segment on the influence of super PAC money on the GOP primary, where Colbert explained just what he thinks his super PAC can get away with — and why. "The system works, is what I'm saying," said Colbert. "Why doesn't Ted Koppel have a super PAC?" he asked. "It is legal for you to have a super PAC and talk about it on the air, and the FEC won't do anything about it." "It's funny until you think about it," said Koppel. "[Colbert] is proving how ridiculous this system has become." Check out the interview with Colbert on "Rock Center" and the fake anti-Romney ad on "The Colbert Report" below.